Let us design an engaging montage for your event! We currently offer three slideshow packages each including up to 200 photos by default. Short video clips may be included as well. 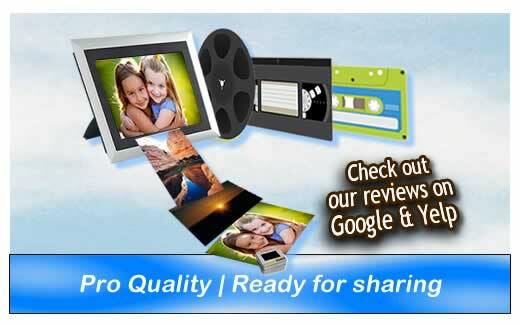 All slideshows are provided as both DVD and MP4 for your convenience. DVDs will include an easy loop option if you'd like to keep the show running throughout your event. Our basic slideshow is great for those events where your photos will just be playing in the background. Photos will gently transition one to the next giving time for your guests to see the images and motion to a friend to have a look as well. We'd recommend 5-10 seconds per image for these slideshows. Basic slideshows do not include music as generally there will be other music or activity in the background at these events. Our silver slideshows allow for your choice of music and elegant motion effects. Photos will elegantly zoom in and out and across the screen. We also provide the ability for you to sort your images on our website to ensure all photos - print and digital - are arranged in the proper order for the show. In the silver slideshow, your music will fade one into the next, but will not be synced to different photo groups. Our gold slideshows provide all the benefits of the silver slideshow but also include custom syncing of songs to photo groups. For example, in a wedding slideshow, you may have a section with the bride growing up, followed by the groom's childhood memories, and ending with the couple together. Or for a Bar or Bat Mitzvah, you may have groups such as baby photos, together with siblings, with friends, with family and finally alone. Some clients opt for a title page between these sections with a fun caption while others may have these sections flow smoothly one into the next with only the music transitioning. As with the silver package, we also provide the ability for you to sort your images on our website to ensure all photos - print and digital - are arranged in the proper order for the show. Keep in mind any required scanning is charged independently of your slideshow. We do highly recommend you have us scan your photos to ensure your photos look their best. As a company specializing in digitization it's important the images we display in our slideshows represent quality we can be proud of. If we need to edit home-scanned photos, we may need to charge for the time to do so. Also as you select your digital images, avoid images with a filesize below 50kb; they will be terribly blurry on a large screen. If it's the only shot you have a friend, we may be abe to arrange a collage where it's not the only image on the slide, but as a rule of thumb you should avoid these images. If you require smooth TV playback with the ease of a standard DVD movie, you will need all those files converted to video format. In this format, montages will have background music, smooth transitions between photos, as well as professional motion effects. If you want a photo montage for your special occasion, this is the product you're looking for. While many DVD players can display image files from a simple data disc not in video format, it would be quite difficult and slow to navigate through hundreds of photo files in this way. • In order to make your slideshow, we're going to need some photos or video clips, of course. We can include scans, digital photos or both. • If you only have prints, simply arrange them in the desired order. We will scan in order and place in the slideshow accordingly. • If you have a combination of formats, you will have the opportunity to arrange your images on our website. You will be sent a link where you can simply drag and drop your images in the proper order for the montage. 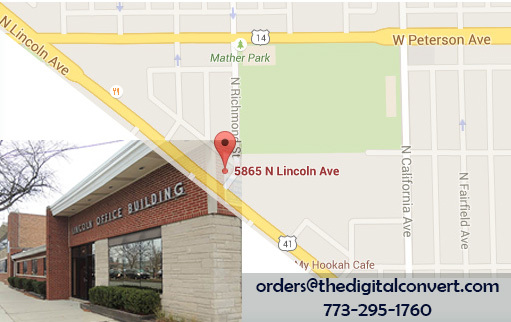 • Digital images can be brought on USB or easily uploaded to our website. 1) Simply bring all your photos - prints and digital - in the desired order for the show. Don't worry - all your photos will be returned in the order they are received. 2) If you'd like some captions in the show (silver package and above), place an index card in the appropriate location in the stack of photos. Write the text as you'd like it to appear. We'll animate it for the show. 4) After the photo montage is completed, we can upload a preview for you to watch online so that the final product is absolutely perfect!